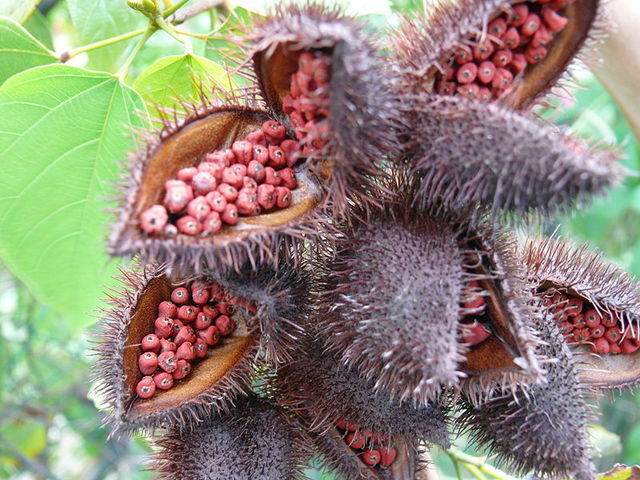 The fruit and plant of Bixa orellana, commonly known as anatto. 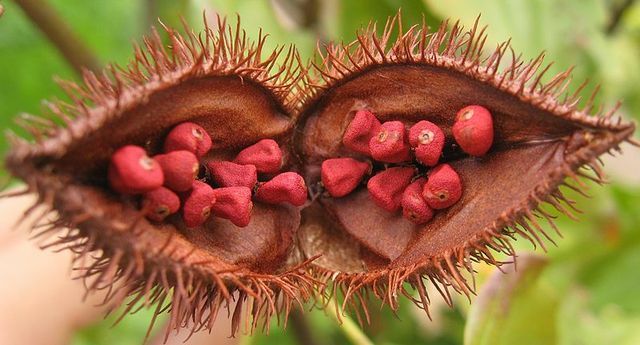 It is important for it's seeds which are used to produce spices, and bright red/orange food colourings and dyes. the seeds are marinated in boiling water strained and bottled, used for cooking such as stew ,pork, chicken, fish and many other dishes in Trinidad and Tobago. This is called kusuwé by the Amerindians in SU. They use it to rub their skin to make it red and also for other purposes.